Just like the lunch lady used to serve, or the store bought Little Debbie version, these Cosmic Brownies are a nostalgic delicious treat that will have you reaching for seconds. 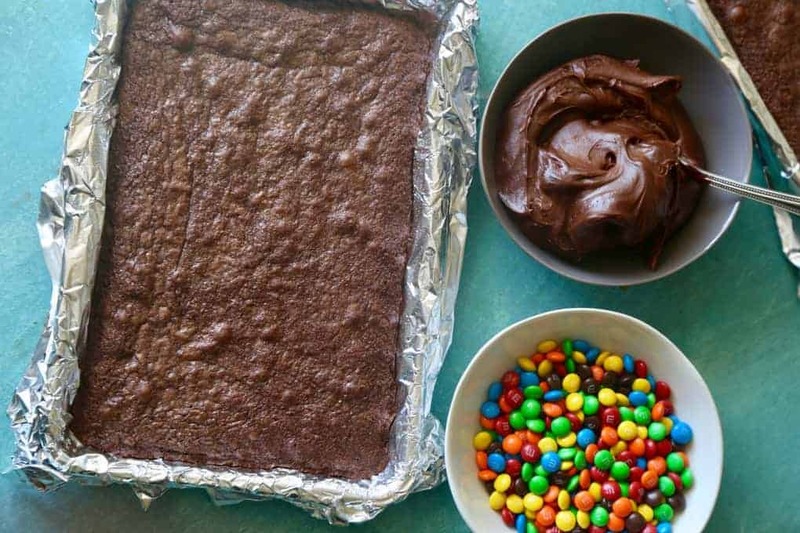 Chocolate fudge deliciousness topped with mini M&M’s will bring a smile to everyone’s face! It was always a great day when Cosmic Brownies showed up in our lunches! 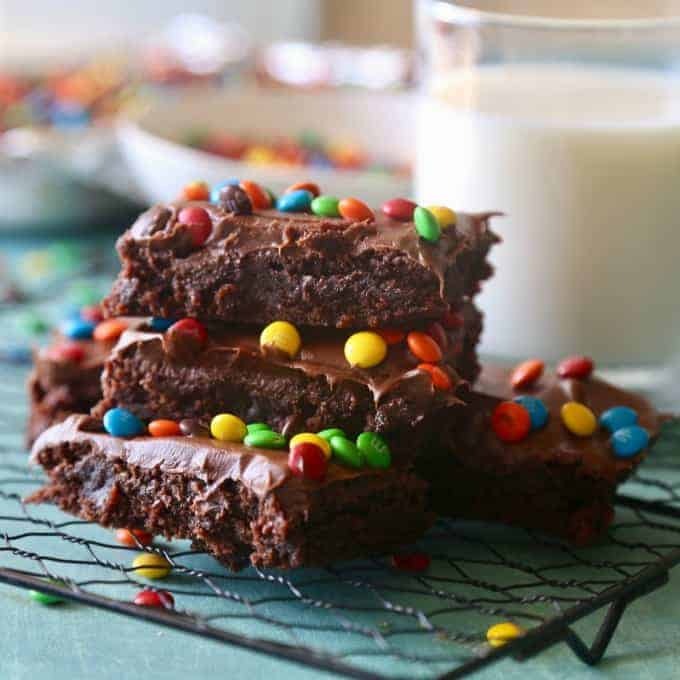 Now, with these Copycat Cosmic Brownies, you can have them any time! Hi Friends, it’s Jackie here from theseasidebaker.com bringing you my last post. It’s a bittersweet goodbye as I have loved contributing to Princess Pinky Girl, but big things are on the horizon! I am currently working on my 1st cookbook that is set to be released Winter 2018. If you like fruit and baking, this book will be your jam! Since I am knee deep in fruit desserts for the book, I am currently craving nostalgic recipes that are easy to make and homey. 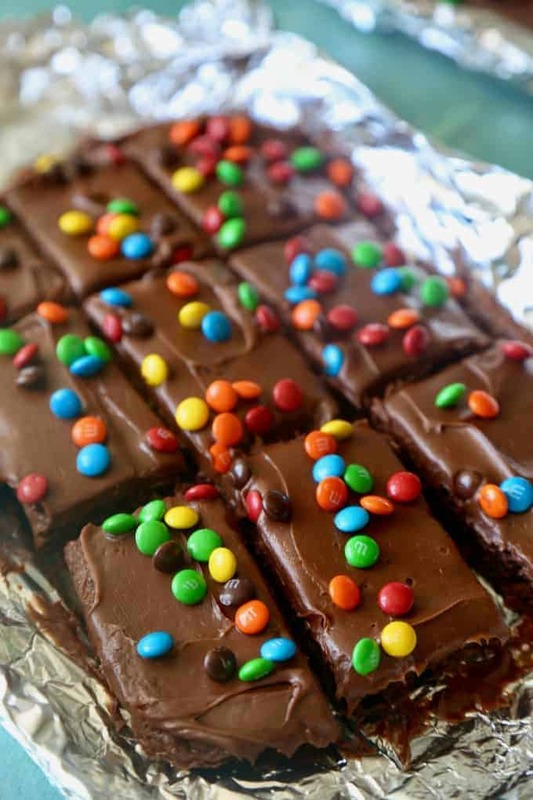 These Copycat Cosmic Brownies bring back all of the memories from my childhood. 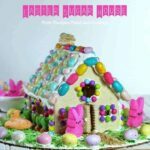 Little Debies were always a favorite dessert…Do you love copycat recipes? Me too! These Copycat Neiman Marcus Cookies may be the best chocolate chip cookies I have ever tasted! Also, if you have ever been to Universal Studios and have tried the Harry Potter Frozen Butterbeer, then this recipe is a MUST TRY!! Cosmic Brownie day was quite an exciting time back in the day. I remember it used to be the talk of the lunch yard after the first brownie was served to the younger grades. 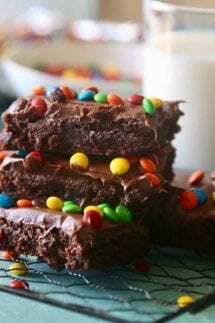 Being as food centric as I am, even back then, the thought of a delicious gooey brownie topped with chocolate fudge frosting and garnished with little colorful who know what they were, made for an immediate good day. You don’t see stuff like that served anymore. In fact, in my kid’s school the serve 100% organic, no sugar, overpriced lunches that rarely get eaten. Don’t get me wrong, I appreciate the wholesome food that is served, but a little treat here and there isn’t that bad. Which is why I have made it my mission to bring back the Cosmic Brownies. It’s not a regular occurrence, but when it happens, I get leaps of joy. Not just from the kids, but from the husband too. So, the moral of this story is to have some fun bringing back old memories and creating new ones. Enjoy! 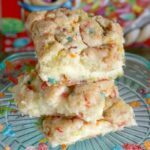 While the Little Debbie Cosmic Brownies are a bit dryer and denser, I think you will enjoy this moist version of the classic! Just like the lunch lady used to serve, or the store bought Little Debbie version, these Cosmic Brownies are a nostalgic delicious treat that will have you reaching for seconds. Chocolate fudge deliciousness topped with mini M&M's will bring a smile to everyone's face! Bake brownies for 22-25 minutes or until a knife is inserted and comes out clean. 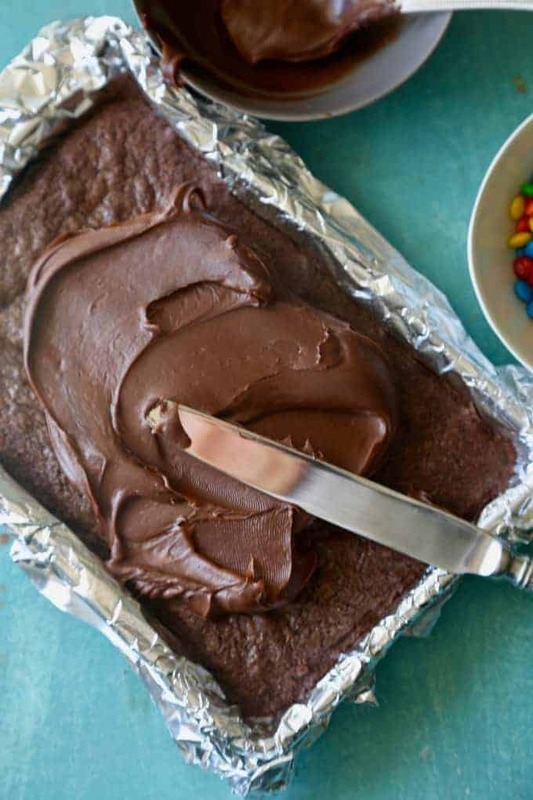 Once cooled frost with chocolate frosting and sprinkle with mini M&M's.